C.L. Stegall is a former Military Intelligence Linguist with a love of carrot cake. Mutli-published, C.L. writes of dangerous situations and the relationships that get our protagonists through those situations (somewhat) safely. With a wealth of experience and hard living behind him (and, in between making a living and a family), he has published novels, novellas, and short stories, as well as edited two anthologies while running his own publishing company. These days, he continues to write and to speak at writers’ workshops and events whenever he can. When not writing or speaking to folks about writing, CL spends his time with his lovely, irrepressible Wife and shares his abode with two dogs who think they run the joint. Dallas Police Detective Sean Fennema has seen some very peculiar things in his career, some of which still haunt him. Having moved from Orlando to the bustling metroplex of Dallas, Fennema had no expectations of a simple case load. That was a good thing. Now, a series of brutal murders is vexing the department and Fennema is feeling the pressure. Nothing in the case makes sense, yet he feels a strange connection to it, as if there is an odd familiarity that he can’t quite place a finger on. It is even more frustrating that his prime suspect, novelist Damon Gables, seems to have an airtight alibi for each of the murders. The thing is, he even admits to be with the first victim a short time before her death. Fennema finds himself searching down every trail, even through history books. He runs down every lead and soon learns that Damon may be in just as much danger as the murderer’s victims. Suddenly, a terrible truth begins to unfold that not only seems implausible but even threatens everything Fennema believes in. Could what began as a case of serial killing actually be a series of specifically chosen attacks spanning centuries? Could his murderer be more unique than he would have expected and more dangerous than he could have ever imagined? If the seasoned detective is in over his head, how can Damon rise to the challenge? Can they face off against a sly monster with a heart full of vengeance? Or, will they both be victims in a case of wrath? Combining the edginess of a police procedural with the dark twists of urban fantasy, A Case of Wrath is a powerful trek into an underworld we rarely witness. 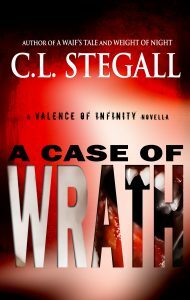 A Case of Wrath is the first novella in the Valence of Infinity series, written by C.L. Stegall. The first novel in the series, The Waif’s Tale, is to be published in December of 2017. “He could’ve changed his name,” Anders said, pecking at his keyboard in what appeared to be slow motion to Fennema. They had been searching for information on the suspect for hours and had run into a blank wall. “There would still be a record of that somewhere.” He stared at his screen and scrolled back and forth through what little information he could dig up on Gables. Damon (no middle initial) Gables had bought the house in Turtle Creek in 2000. His noted profession was writer but, other than a few online columns, Fennema couldn’t find any books by the man. Prior to the purchase of the home, as far as they could discern, Damon Gables did not exist. There was no birth certificate, no arrest record, not even a parking citation on file. Fennema huffed in frustration and leaned back in his squeaky chair. “What about immigration?” Anders said, still tapping at his keys like a metronome. “Man. 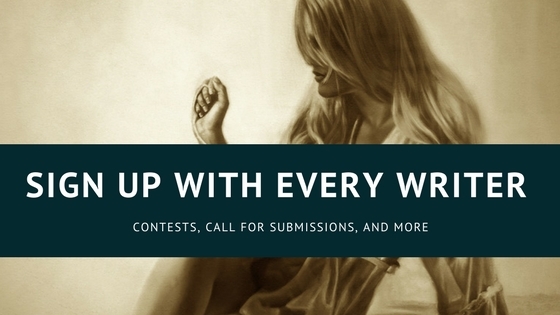 It’s creepy.” Anders shivered with exaggerated motion, shaking his arms out after. Fennema sat bolt upright and began banging on his keyboard hard enough to draw Anders’ attention. “Well, that ain’t good.” Anders’ mouth quickly snapped shut on seeing Fennema’s disapproving expression. “What else?” he said, leaning in toward the screen. “Maybe meant for us?” Anders questioned. It was a valid supposition. Over the course of modern history there were innumerable instances where criminals had left messages for their pursuers. “Hell if I know.” Fennema rested his cheek on his fist and skipped to another web page. He read aloud. “Historically, the phrase has been used in a myriad of manners and instances, but one is more memorable than most. “Jesus.” Anders sat in rapt attention, leaning forward in his chair. His gaze focused solely on Fennema as the detective continued his discourse.